You’ve probably read a few articles on how to market your book, and selling more copies is important. But what if you could also make an extra $0.50 on each sale? If you sold four thousand copies this year, that would add up to an extra $2,000 in your pocket — which might make it worth spending an hour or two setting up the processes. Here are four ways you can squeeze more profit out of each sale. One strategy will even help boost your book in Amazon’s ranking’s! Let’s get started. When my book, 101 Weird Ways to Make Money, was published, I promoted it to my mailing lists and on my websites. At first, I just linked to the sales page on Barnes and Noble. They had preordered several thousand copies for their physical stores, and my editor at Wiley (rightly) suggested that we should reward them. Then I noticed that the link my editor gave me had Wiley’s affiliate code in it — my publisher was selling the books to Barnes and Noble, but also making a commission on each sale to buyers I referred. Why couldn’t that be my affiliate code? I changed it the next day. I later did the same for my Amazon links. Here’s how it works with Amazon’s Associates Program (Barnes and Noble’s program is similar): I refer newsletter subscribers and website visitors to the sales pages through links that contain my affiliate code. I then get a 4 to 8.5 percent commission, depending on that month’s sales volume. At the moment they sell the book for about $14.00, so my affiliate commission is at least 56 cents — on top of the $1.50 royalty from my publisher. Amazon says it’s also okay to do this with books you’ve published on Kindle. On my Kindle titles that I’ve self-published, I start with a 70% royalty (unheard of with print books), and then make a commission. On a $5.99 sale I refer, I earn a $4.19 royalty and another 4% from the Associates Program, or about 24 cents. That brings my total to $4.43 on a book that sells for just $5.99. That’s 74% — not a bad profit margin for a book! Here’s another little secret about those affiliate programs: when people use the link on your blog or Facebook page to buy your book, you’ll also make a commission on anything else they buy during that visit. When I looked closely at my affiliate sales report, I noticed that I was making money for music downloads, kitchen gadgets and other items, none of which I promoted. People who go to get my book apparently buy other things at the same time, and I get paid. Every little bit helps. Note: Amazon does not accept affiliates in certain states, in which case you can use Barnes and Noble’s Affiliate Program and make 6% on sales of your own books, on top of your royalties. It’s nice to have bookstores selling your book even while you sleep, but you might get a dollar or less on each sale as your royalty. If you buy your books wholesale from your publisher and sell them on your own, you can make as much as $10 on a book with a $19.95 cover price. Some authors find it very profitable to sell their books at speaking engagements and other public functions. Despite being a very social person, I don’t like being in the spotlight. But if you’re out there doing presentations and promoting your book, bring plenty of copies to sell. You can also ship books yourself. Once in a while, someone wants to buy a book from me directly, so I tell them to send a check. You could choose to do this even when selling your books through social media or by other means. Even if you pay the shipping charges, you make more than your usual royalty by buying wholesale and selling at full retail. A traditional publisher pays you a set percentage as a royalty. On the other hand, if you use a publish-on-demand (POD) company to do it yourself, your profit is whatever is left over after your cost-per-book is deducted from the wholesale price book vendors pay for it. And there’s a reasonable limit to what you can ask for a book. That’s why smaller books make sense. For example, if your book retails for $14.95, and book sellers pay $7.47 for it, and your cost is $7.37, you’ll make all of ten cents per sale. But if you cut the size of the book down so your cost is just $5.47, you’ll be making $2.00 per copy — twenty times as much! I’ve self-published two books for $9.95 that each make more profit per sale than a book I sell for $14.95. That one was too big, and I’ve learned from my mistake. Sometimes it’s hard to reduce that word count, but keep the cost of production in mind as you write. Nonfiction can always be more concise. If it is fiction, consider breaking a good story into two books in a series instead of one long one. With Wiley, I had negotiated away the clause in the contract that required me to buy some copies. Authors typically pay their publisher 50% of the cover price, and to buy 100 copies, as Wiley wanted me to do, would have eaten up a sizeable chunk of my advance. Of course, I still needed to buy some copies for friends, family and promotional giveaways in my newsletters, so I went to Amazon and discovered two very interesting facts. First, I found that, unlike books bought wholesale through your publisher, an author’s retail purchases are part of various book industry sales statistics, like those used to put together best-sellers lists. Apparently buying your own books is a controversial marketing practice, but it isn’t illegal. Even if buying copies of your book doesn’t push it onto any top-10 list other than some obscure sub-category on Amazon, the numbers matter. Libraries, for example, try to stock popular titles, and your purchases might push your book one copy past whatever threshold they use to determine what’s popular. The second thing I discovered is that it can be cheaper to buy from Amazon than from my publisher. With shipping, I would have paid over $10 each to get my books from Wiley, and I wouldn’t earn royalties on these wholesale purchases (I asked, of course). But when new books are released, Amazon tries to have the lowest price online, and you can use that to your advantage. For a while, Amazon sold my book for $11.30, which is quite a discount from the $19.95 cover price. I bought enough copies to get free shipping, and I made a royalty of $1.50 on each one. That brought my total net cost down to $9.80 per book, 50 cents less than the per-book cost of $10.30 or so I would have paid (with shipping) to get them from my publisher. You have to do this shortly after publication, because that’s when Amazon will have their lowest price. Buy as many books as you think you will need all at once too, to get free shipping and to boost that sales ranking. Alas, it is against Amazon’s rules to use your own affiliate link to buy from them, or I would have gotten another 45 cents back on each book. Yes, oddly, you can buy at retail for less than wholesale, and also get statistical credit for these sales. Keep that trick in mind, especially if you need a few hundred copies of your book for speaking engagements. The less you pay, the more money you make. 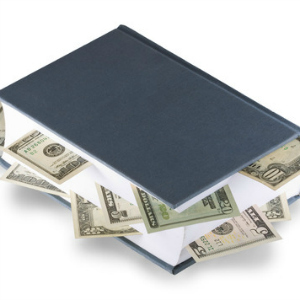 How do you maximize your profit from each book you sell? Steve Gillman's experiences inspired a website about odd businesses and jobs, which in turn led to writing 101 Weird Ways to Make Money. He has created informational websites covering subjects ranging from metaphors to wilderness survival, and has written books on subjects as diverse as backpacking, meditation, and creative problem solving. nice tips for trying to get something out of this writer business. m.
This was hilarious! I hope nobody actually took you seriously.